Anypoint Studio, the IDE for Mule, is based on Eclipse, but ships without the Marketplace client. That is a pity, as it makes it harder to add useful extensions. Fortunately it is easy to fix. Select “Help/Install New Software…” and add the Juno repository (http://download.eclipse.org/releases/juno) as a site to work with. Search for Marketplace Client. It is found under General Purpose Tools. Install it and there you are! Note that this covers the current version of Anypoint Studio for Mule 3.5, which is based on Eclipse 3.8. Future versions may not use the Juno repository. 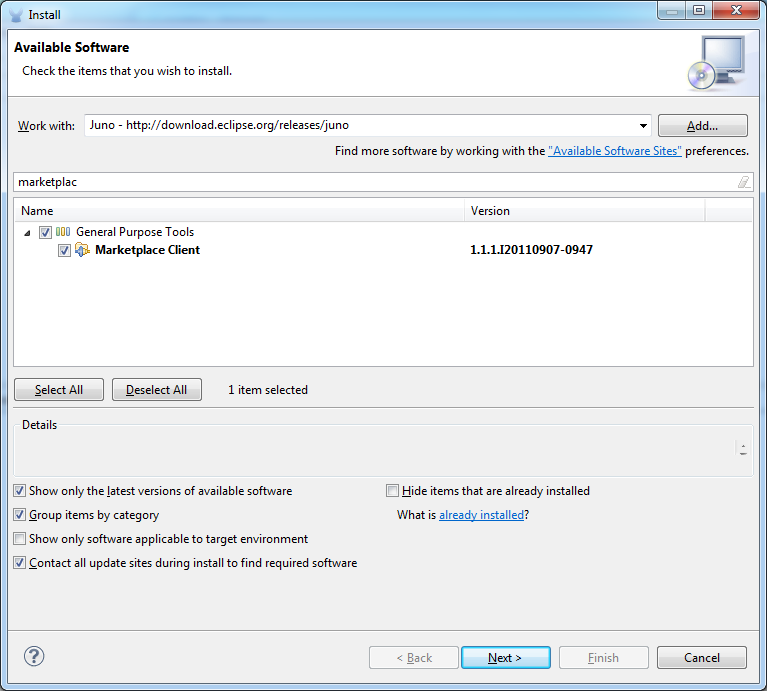 Check the version of Eclipse that Anypoint is based on and use the proper repository.